In 2000 and 2001, Sydney artist David Lever painted a series of paintings depicting the life of Arthur Stace. “Mr. 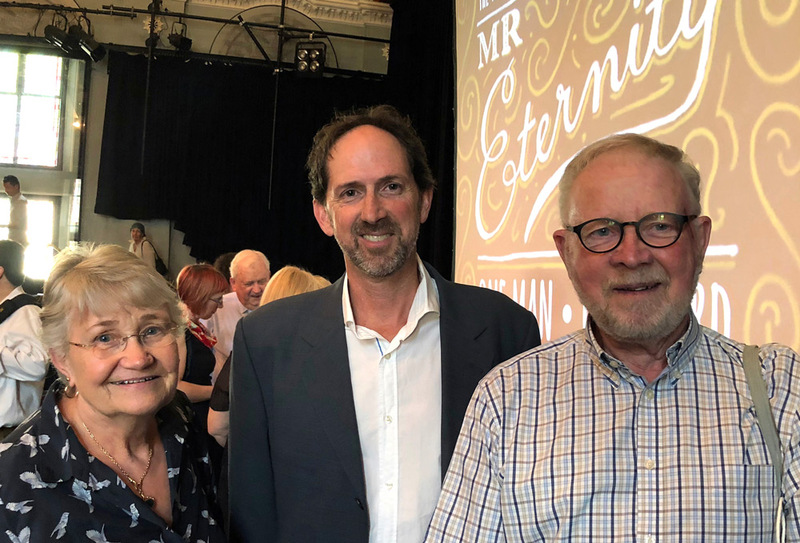 Eternity: The Story of Arthur Stace”, by Roy Williams and Elizabeth Meyers, launched in Sydney last month, reproduces a number of the paintings. Photo: David and Lorna Lever with Roy Williams (centre) at the book launch.